Implementing a skateboarding programme for local youth in the area. Despite, or due to, Angola’s legacy of inequality and corruption, the country has recently become a breeding ground for skateboarders, with a vastly developing skate scene in the capital city of Luanda. Jesse Mendes, the founder of the ‘Angola Skateboarding Union’ has been vocalising on behalf of the community, the need for a skatepark to be built in Luanda. We have been granted official permission, to build on an open space of 700m² at Campo Polivalente Vila Estoril; a youth recreation centre located in a residential district, a far cry from the oil rich complex of the central city skyscrapers. The skatepark will be free and accessible to the whole skate community of Luanda. Concrete Jungle Foundation (CJF), New Line Skateparks (NLS) and Angola Skateboarding Union (ASU) are proud to work together on this project, to build Angola’s first outdoor concrete skatepark. 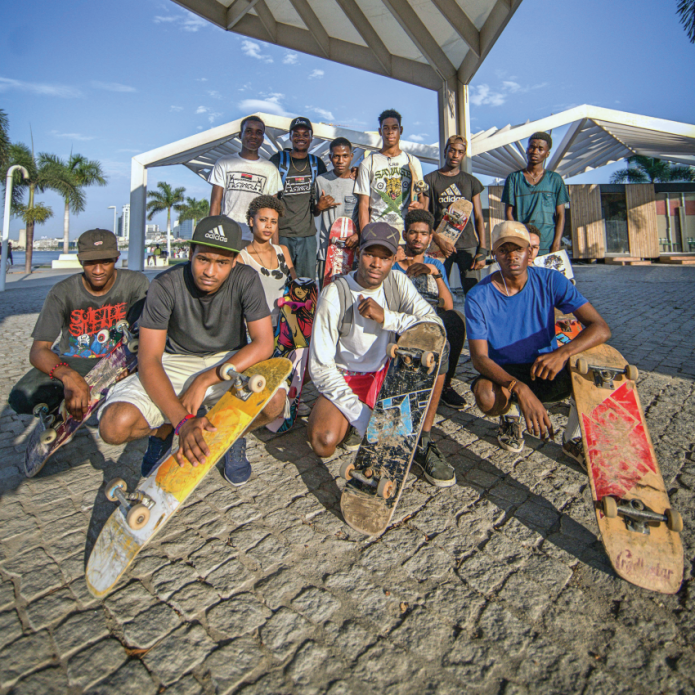 The proceeding skatepark program will run by local volunteers from Angola Skateboarding Union (ASU) and will be focussed on building a healthy positive skateboarding community around the park, and teaching life skills through the skate classes. 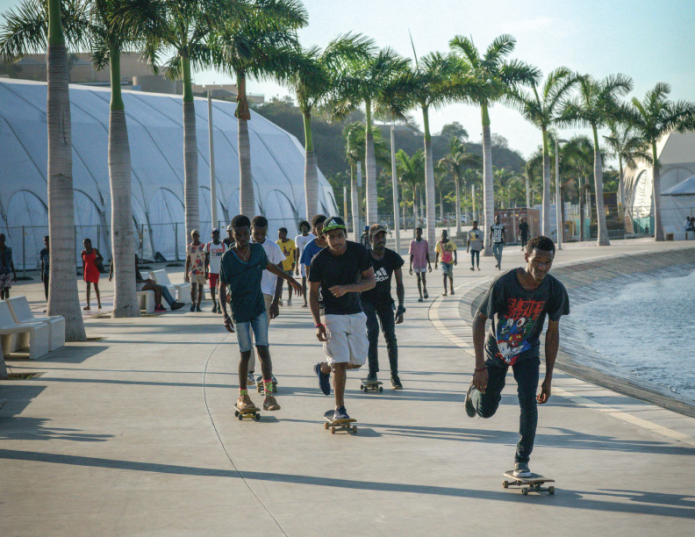 With increasing crime-rates among the poor communities of Luanda, we envision the skateboarding program acting as a key asset in providing local youth with a positive social activity and expression that provides an engaging deterrent from criminal and negative behaviours. We are stoked to announce that our good friends from Donate For Skate, a charity organisation who collects new & used skate equipment for the youth of developing countries, will be able to make a significant contribution of skate gear for this project. In 2017, CJF completed the construction of it's very first skatepark project in Alto Trujillo, Peru. Leaving behind a treasured space for the youth of the community to practice skateboarding. Follow @concretejunglefoundation on Facebook, Instagram, and visit our website for volunteering and sponsorship information. A community skatepark project for the youth of Luanda, Angola. Donate, share or choose a perk to help us make it happen! We are thrilled to announce our partnership with The Skateroom, a social enterprise whose main purpose is to help empower youth using art and skateboarding. 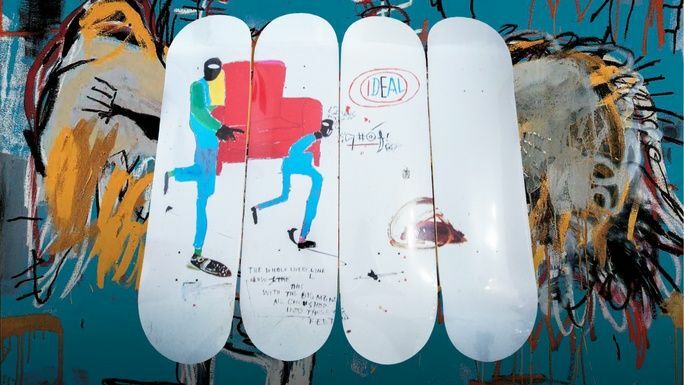 They collaborate with artists to produce limited edition artwork on the medium of skateboard decks and in turn a percentage of the profits from the art sales goes towards helping finance social projects around the world. To celebrate we are selling this limited edition piece, by the artist Jean-Michel Basquiat. "Before Basquiat rose to become one of the most significant artists of the 20th century, his work was already legendary on the streets of downtown NYC. Under the tag SAMO, his poetic and poignant symbols established a visual vocabulary that continues to inspire new generations of graffiti artists to this day." Past and Contemporary street culture come full circle through this collaboration. 100% of the proceed from this unique purchase will go towards funding CJF's next skatepark construction project for the youth of Luanda, Angola. 100% organic cotton Ethically sourced and manufactured by the 'Fair Wear Foundation'. Hand-Printed in Spain. 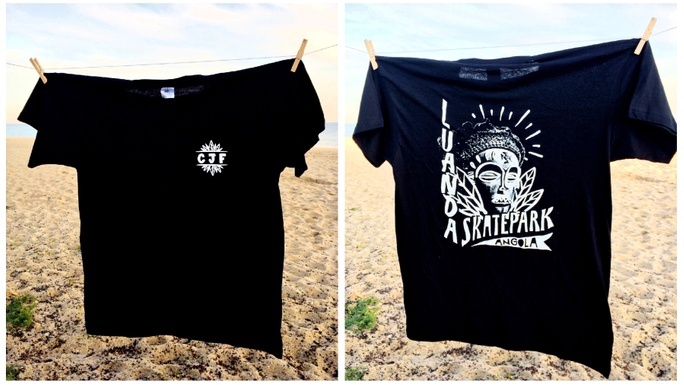 Available in Small - Medium - Large All profits from your purchase will go directly into funding the construction of our next skatepark project for the youth of Luanda, Angola. Thanks for supporting! 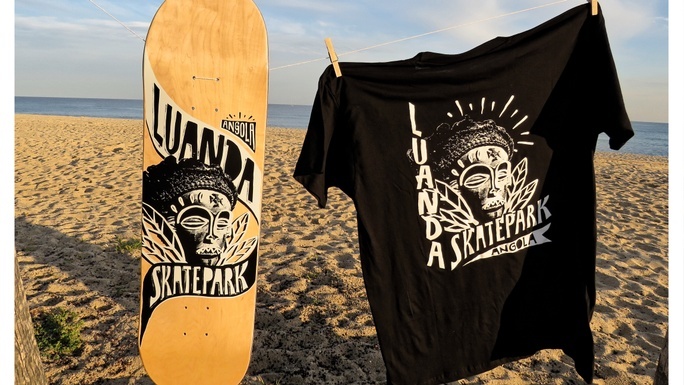 Luanda Skatepark Deck 100% eco-sourced Canadian maple Pressed and printed in France Thanks for supporting! Let us introduce you to Raphaël Kettani, a Belgian painter of the upcoming art scene post street-art. 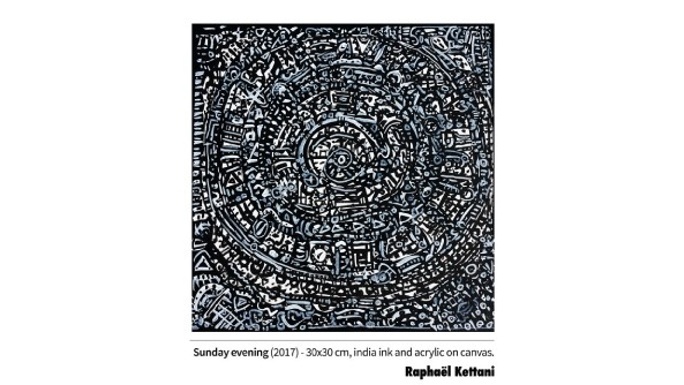 Currently based in Paris, Raphaël donated this unique 30cm x 30cm to the foundation. Help us build the first skatepark of Angola by purchasing this unique piece of art now.